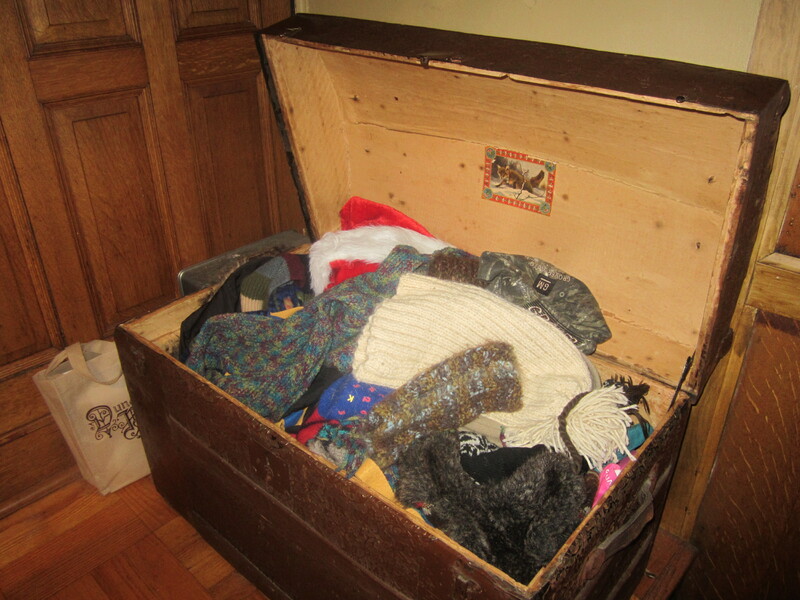 This week’s theme was pretty easy for a change – we are using my 2nd great grandfather’s traveling trunk in our front hall as mitten/hat/scarf storage – an everyday heirloom. He was one of two sons in a family of eight daughters with parents Kristen Kristenson and Kari Gullaksdatter. He emigrated from Norway. 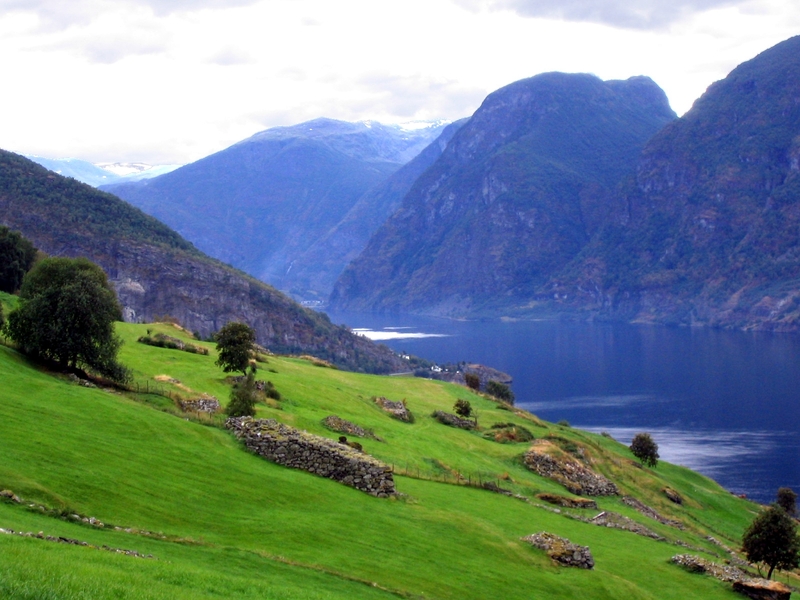 leaving from Bergen on April 23, 1869 on the ship S. S. Maryland and arriving May 30 in Quebec, Canada. He made his way to Greenwood township, Vernon County, Wisconsin, which was founded by Laerdal immigrants in 1863. (Need to suss out the story of that place also). He married and farmed and eventually planted his family in Polk County, Minnesota, where my grandfather and father were born. The trunk remained in the family, and I feel extremely lucky that it landed in my hands, as it could have gone to any of the 100s of descendants that call him great-great grandfather. It is a round-top, embossed tin, wooden trunk with leather handles. Somewhere along the line it lost the interior shelf – there is a place for it to sit. It is lined in a wood-looking paper, which is peeled in areas, but otherwise it is in great shape for being schlepped across the ocean and a few states. I’m so glad that this little bit of my family history can be used everyday, not just kept as a sacred relic or packed away for a special occasion – it is a great conversation starter too! 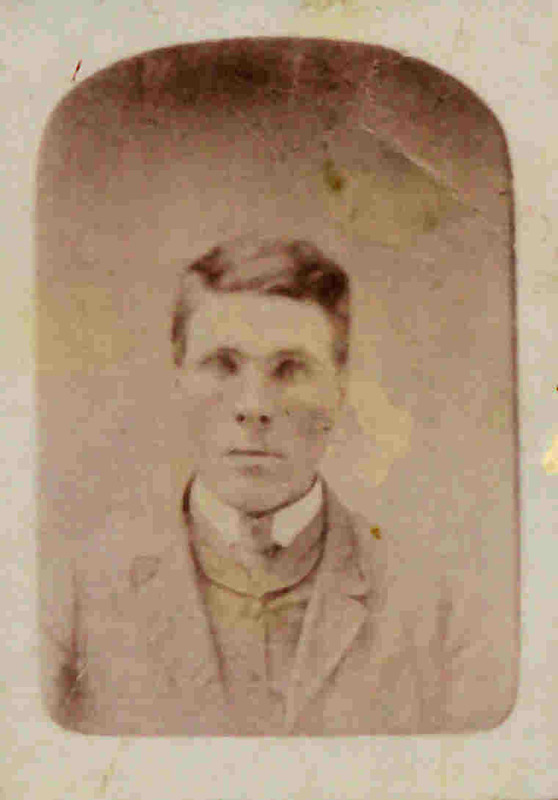 52 Ancestors #18 – Where there’s a will…. Sigh. I have a family mystery that will probably never be proven through my research methodology – who is the biological father of my maternal grandmother? I have been working and working on this for years – it really shouldn’t matter and I sometimes think I should just let it go, but then… I get an itch. Sometimes it will come during other research projects when I find a new database or research source and I’ll search it desperately, hoping to find new information. More often than not, it becomes a dead end. Until today. My grandmother Wava Hallberg, was supposedly born 25 August 1908 in Minneapolis, MN. I say supposedly since her original birth certificate was said to have been ‘burned’ and a new one was issued about 10 years later, listing my great grandparents, Esther Parris and Carl Hallberg as her birth parents. As all family stories go, there is always fact in the fiction, but fiction in the fact too. I guess Esther was elusive about her time in Minneapolis and meeting Carl Hallberg – she was the youngest daughter of 10 and moved from Duluth, MN sometime between 1905 (she was listed in that year’s MN census in Duluth) and 1909 (when she married Carl). That’s another contributing fact – Esther and Carl married at St. Rosary Catholic Church in Minneapolis on 15 July 1909 (have that record!) – 10 months after Wava was born. So if you count back 9 months from her birth date (25 Aug 1908), conception would have been Novemberish 1907, right? Carl Hallberg was born in Sweden in 1882, came with his parents to MN in 1883, then moved to Halbrite, Saskatchewan, Canada in 1903 (and was in the same place for the 1906 Canada Census). He then ended up working for the Pillsbury Flour Mills in Minneapolis and marrying Esther Hallberg in 1909. So was he in Minneapolis during the conception timeframe? So here’s what I found today. A border crossing record from Canada to the U. S. for ‘Carl Holberg’ from March 1909! Even though the name isn’t spelled correctly, the age, origin, and name of his father match my Carl Hallberg. So this doesn’t put him into Minneapolis until March-April 1909, so barring an earlier record for his migration to and from Canada, it would have been hard for him to be the father of a child conceived in his absence. It is also interesting that he married Esther a mere 4 months later – what a whirlwind romance! I feel a bit more satisfied finding another piece to add to the puzzle, but it certainly has not been completed. I’ll keep this week’s topic in mind ‘where there’s a will, (there’s a way)’ as I continue to work to solve this family mystery! 52 Ancestors #15 – How do you spell that? I have found that spelling errors in records are often because of transcription errors – the style of writing has changed drastically through the years and reading the flowery script made by fountain pens is definitely an acquired skill. But sometimes even records which we think should be ‘official’ often have spelling variants for the same family name and even the same person. Here is one example in my family tree – Syphers, Sypher, Sifers, Syffer, Cypher, Seyfer all have been given for the same family of my 2nd great grandmother, Marian Henrietta Syphers. She is living with her widowed mother Sarah and her three brothers look like they are working the farm. Her father David is here on the 1840 census for Houlton, Maine but the transcription on Ancestry.com lists his name as Fypher. I can clearly see the difference between the “S” script and the “F” in the name Folley from above – can you? David’s uncle John Tompkins was born 16 Aug 1775 in New Hackensack, New York – his baptismal records from the Dutch Reformed Church Records from New York and New Jersey show a spelling of Seyfer for his father. Unlike some researchers, I’m not disturbed at the fluidity of names – I don’t get caught up too much into the semantics, as long as the other vitals line up with the person, then it is all good. Just part of the fun of digging into the past! Cora Ellen Christenson is my grand aunt. She lived a short life – from 1906 to 1908, so I don’t have a wealth of information on her. 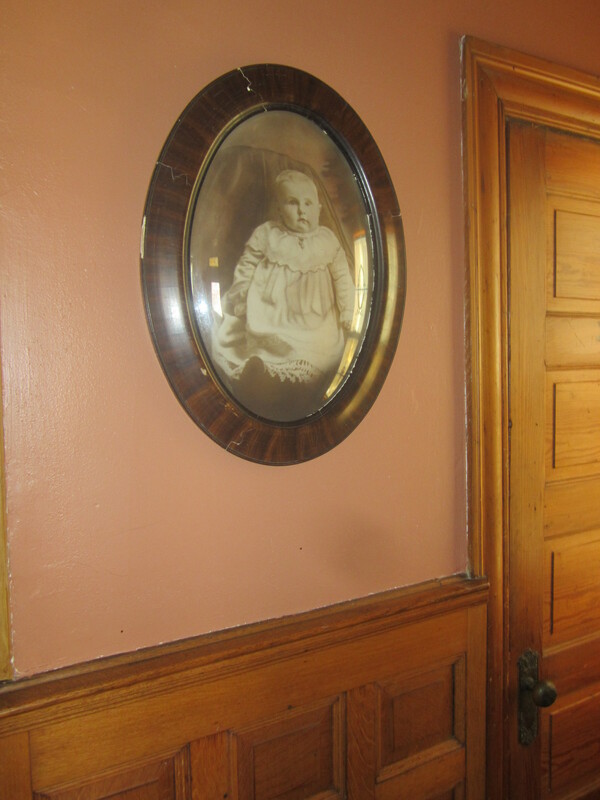 I do however, have the privilege of having her baby portrait, complete in a beautiful oval frame, hanging on our hall wall. Cora Jorgensdatter is the wife of my great grand uncle. 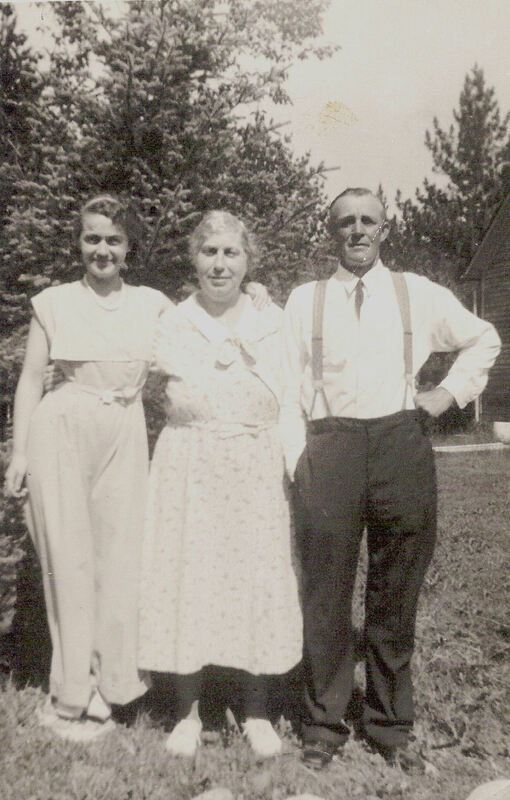 She was born in Norway in 1890, immigrated to the United States and settled in Brown county, Minnesota, where she married Rangvald Johnson in 1926. The final Cora is the one that I found first. Cora Kompelien was born in Lac du Bonnet, Manitoba, Canada in 1916. Her mother died 2 years later and all the children were shipped to various relatives in Minnesota. Here is the manifest of her border crossing in to the United States, with her twin sister, Millie. Cora was raised in the family of her aunt, Karen Hole Olson and her twin went to live with cousins. It seems strange that they weren’t kept together. So there you have my Coras. What started as a silly way to define the “different” topic really led me to find some interesting information on the distant twigs in my tree. This week’s 52 ancestors theme is “stormy weather”. I happen to have some storms in my background, but not of the rainy kind but Dutch colonists of New Amsterdam and Sleepy Hollow! Dirck Goris Storm, my 8th great grandfather, was born in 1630 in Utrect, Netherlands and immigrated to North America (I was about to say United States, but that designation wasn’t around yet) in 1662 with his wife Maria van Montfoort and their 3 young sons. He received a land grant in the new town of Haarlem and became Secretary of Brooklyn in 1669. “Manual of the Corporation of the City of New-York,” 1863The Harlem waterfront as it appeared in 1765. The steeple of the Reformed Low Dutch Church can be seen at the far right. Just below are what appear to be headstones. Dirck moved his family up the Hudson to the Philipse Manor tract in Westchester County in 1697, and that was where his family settled and expanded. The tract encompassed 52,000 acres of prime Hudson riverfront and was used as center of agriculture for the Dutch settlers and their families. 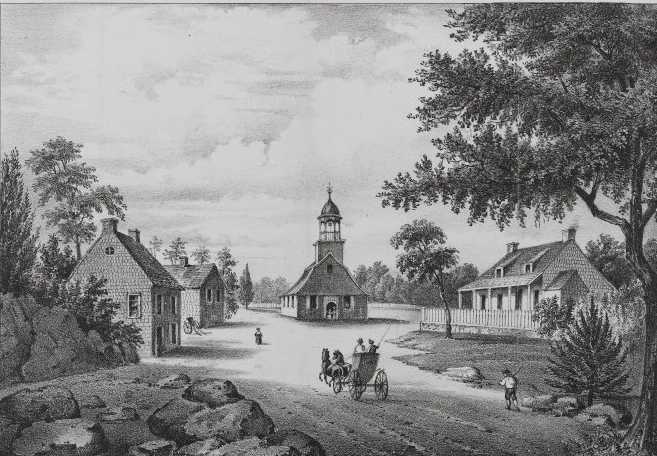 Dirck Storm was the first recorder of the Old Dutch Reformed Church of Sleepy Hollow and a prominent member of the Tarrytown community. I am so thrilled to find an account of Dirck’s life and times written by another cousin, Raymond William Storm, in 1949 and can’t wait to pore over every page! My family is planning a trip to NYC this Fall and we will definitely be visiting the Philipse Manor, Sleepy Hollow Cemetery, and the Tarrytown area. I can’t wait to walk the grounds of my Storm ancestors and imagine what life was like for them (hopefully there won’t be any “stormy weather”! Storm, R. W.. Old Dirck’s book : a brief account of the life and times of Dirck Storm of Holland, his antecedents, and the family he founded in America in 1662. unknown: Reproduced by photo-lithography, 1949.